The new 24-hour grocery store, which sits just across West University Dr. from Walmart and Sam’s Club, was the eighth WinCo to open in the Dallas-Fort Worth area. WinCo is a bit different than the average big-box store. 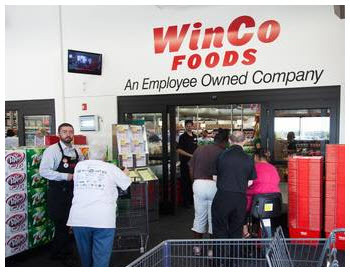 The company is “employee owned,” so those who work at WinCo for about nine months get stock in the company. Winco takes debit cards and cash only.